Cesar Hernandez ventured into real estate following a successful career of over 20 years in pension plan administration and consulting. He earned his Bachelor’s degree in Business Administration, Finance, from Texas A&M University. Passionate about exceptional client service and real estate sales, investing and construction, the move to The Associates was a natural fit. Now with The Associates, Cesar aims to capitalize on our in-depth knowledge of the luxury real estate market to identify the precise homes or lots, area(s) and options available to his clients, friends and family. 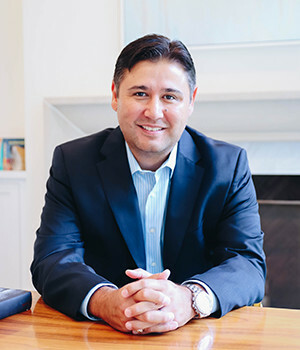 Whether purchasing, selling, building or investing in the Dallas area, Cesar is uniquely positioned to guide his clients through the process. Cesar is a licensed Sales Agent, REALTOR® and designated Graduate, REALTOR® Institute (GRI). Cesar is a native Texan and resident of Dallas for over 15 years. He and his family currently reside in Far North Dallas in the Richardson Independent School District. They are members at the Episcopal Church of the Transfiguration in North Dallas. In his free time Cesar develops mobile apps for kids, coaches youth baseball and is a dedicated chauffeur for his kids.